Helping People Become Whole Food Optimized! My name is Kelly Aiello and I’m a registered holistic nutritionist (RHN). I created HappiHuman.com as a place to connect with people all over the country just like you who are looking to live a happier, healthier life. I want to give you the tools you need to unlock your full potential and to live the kind of life you have always imagined. When it comes to nutrition there is a lot of conflicting information. It seems like every week there is a new study and a new fad diet that seem to contradict the news from last week. I can help you cut through all the hype and learn what your eating habits should look like to fully optimize your health. I am a natural nutritionist. What is a natural nutritionist? It is a trained nutrition expert who understands the power of using food that is natural, live, and unprocessed, to help your body work the way it was designed. The right food choices and lifestyle adaptations will eliminate nutrient deficiencies and help you become your better self. The truth is everyone is different and biochemically unique. As such, your body has different needs. This also means there is not a single one-size-fits-all diet for everyone. I work with you to create a nutrition plan that is based on scientific principles and is tailored to your body, your way of life, and your goals. Together, we will work to discover the ideal eating plan for you so that you can become whole food optimized! I didn’t always understand the strong link between the foods we eat and our health. It took a life altering accident, one that almost claimed my husband’s life, for me to discover the path to improved health. You can read the full story on my blog. Now, a former math high-school teacher, my mission is to educate, empower, and inspire others to discover for themselves the incredible, life altering power of eating the right foods. I had to learn the hard way that eating the right foods can have a positive effect on all aspects of my health. I want to help you make these same connections without the struggle that I had to endure. 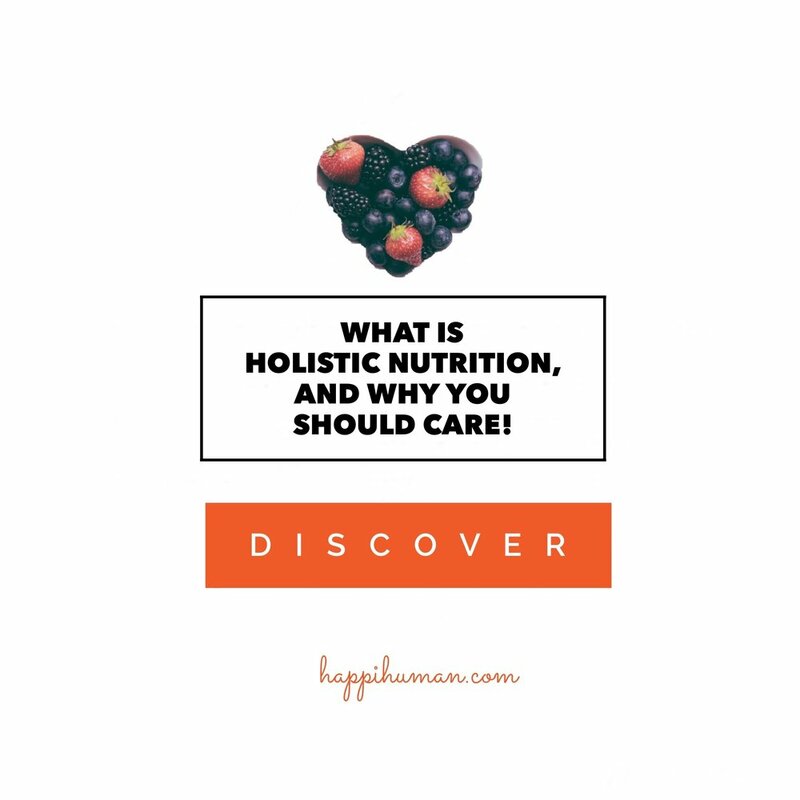 Holistic nutrition looks at you as a whole integrated person before making specific dietary and lifestyle recommendations. Find out how learning more about your body and changing the foods you eat can transform almost every aspect of your life. You know that sugar is bad for you, but do you know just how bad it really is? 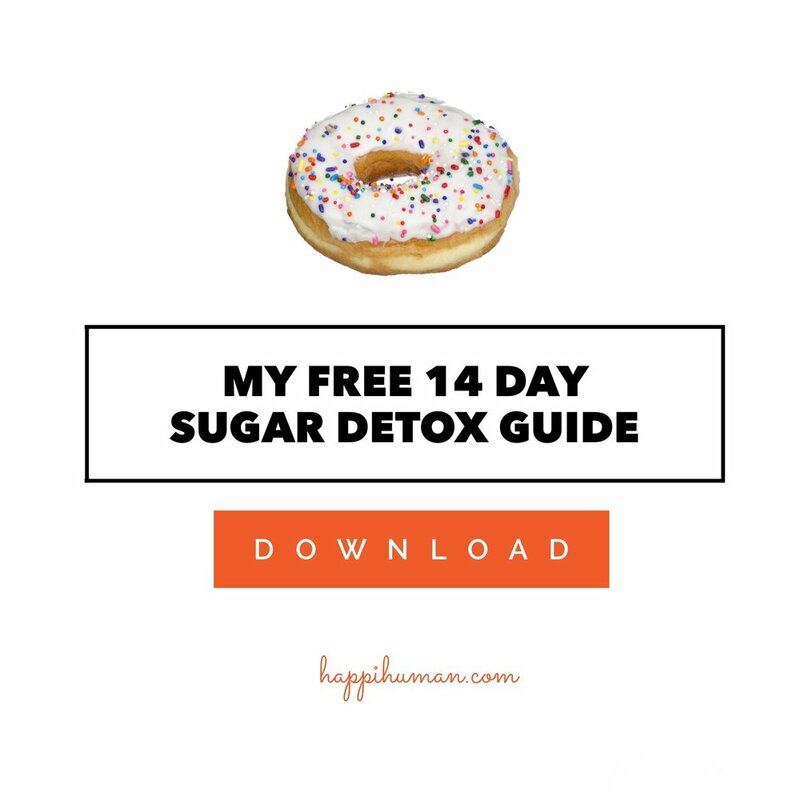 Learn how to get rid of your sugar addiction for good and how you can change your life by cutting out sugar. This step-by-step guide is unlike any diet plan you have ever seen. It can be hard and overwhelming to give up the foods you love, even when you know they are not healthy. It can also be tough to know what you should be eating instead. This free guide shows what healthy foods you should use instead of the unhealthy alternatives. Learn how to become whole food optimized by eating foods that taste delicious and can make you healthier. What will you get throughout this process? You may also purchase additional customized or generalized meal plans best suited for you. Each plan comes complete with done-for-you meals, shopping lists, recipes and photos - all designed so that you can take the guesswork out meal planning. I love working with people. Through my own journey I have found that just passively reading information about health, wellness, and nutrition is not enough to trigger long-lasting change. When I work with you I don’t just tell you what you good nutrition can do, I show you. I understand how easy it is to get frustrated and overwhelmed by the volume of conflicting information and countless resources out there. Who’s got the time to sort through it all and determine what may be best practice for you? Let me help. I guide you through the process of making the choices and lifestyle changes you need to unlock your full potential and become whole food optimized. If you are looking for a fad diet, an easy way to lose weight, or a shortcut to dealing with chronic health problems, HappiHuman.com is not a good match for you. But, if you are interested in working hard, making real changes, and learning a new way of looking at food, together we can accomplish great things. Understanding the relationship between food and your dis-ease you ,too, can become whole food optimized, no longer needing to outsource your health and welfare to others. Eating the right foods for your body is one of the best things you can do to increase your energy levels, improve the way you sleep, increase your level of happiness, and improve your overall health. Because people come to HappiHuman.com from all different backgrounds and levels of health knowledge, I work with individuals and small groups. These smaller settings allow me to give personalized guidance, answer specific questions, and provide advice that is tailored to individual needs and circumstances. Many people in today’s society are sick and tired of feeling sick and tired. You may be one of these people and need help finding your way to better health. The problems is that when it comes to nutrition, most people are very confused. I’ve been there. I understand what you are going through, and I am here to help! Are you ready to gain more energy? Are you ready to sleep better? Are you ready for a clearer, focused mind? Are you ready to become more productive? Are you ready to have improved digestion and elimination? Are you ready to feel like yourself again? Are you ready to finally experience what it feels like to be genuinely healthy? If you answered yes to any of the above, you have come to the right place! Join the HappiHuman community, and let me help you make eating healthy simple and fun so that you can look and feel your very best. Right now you are just a few clicks away from getting access to the tools and expert nutritional guidance you need to change your life forever! We have several different ways we help individuals, groups, and companies optimize their nutrition. You can sign up to get life changing nutritional information sent to your inbox weekly, that you can use right away. You can also browse our constantly growing archives of nutritional information and tips. There is no pay wall. This is a great place to start if you are new to the idea of holistic nutrition and eating whole foods. I host local classes and workshops in the Kamloops, BC area for people interested in learning more about how to live a healthier, happier life through better nutrition. I also host webinars to give people all over the country access to the kinds of tips, tricks, and strategies needed to harness the power of holistic nutrition in their lives. I work with people one-on-one to help them develop personalized nutrition plans and to overcome individual obstacles to living a life where food is a vehicle to health and wellness. I offer this coaching either in person for people in the Kamloops, BC area or through the Internet for people located anywhere in the country. I use a secure platform with video-conferencing and private chat capabilities, so you can rest assured that your personal and health information is kept strictly confidential and help is only a moment away. Two different meal planning services are available, based on your budget and health needs. Choose from a Custom 7-Day Meal Plan designed specifically for you based on your current health goals, concerns, food sensitivities, and preferences. Or choose from one of many Condition-Specific 7-Day Meal Plans that are based on dietary recommendations for a specific health condition. Either way, you can take the guesswork out of knowing which foods are best for you and get started on your road to success today! I work with progressive and conscientious organizations that want to create a culture of HappiHumans. I offer a variety of different corporate classes and training sessions that help employees discover how making different nutritional choices can impact their health, energy levels, productivity, and happiness. Progressive organizations now understand that health, engagement and productivity are strongly linked. By being proactive and investing in the total health and wellbeing of their employees, these organizations are realizing fewer paid sick days, less burn-out, and increased productivity from their employees. For more information about my business portfolio let's start a conversation. For many people, I am the first Holistic Nutritionist they have ever met. While this field is growing, many people are curious and confused about what holistic nutrition is all about. Here are some answers to the questions I get asked the most. If you have any other questions, please feel free to contact me. I love to hear from people who are on their own journey to better health. What is a registered holistic nutritionist? I received training in holistic nutrition from the Canadian School of Natural Nutrition. This professional training included detailed study of proper nutrition and the ways different foods and food compounds affect the human body. As part of the training I completed 50 practicum hours, additional time completing numerous case studies, and passed a strenuous board exam. I work with people to help them understand the impact different foods in their diet are having on their overall health and showing them ways to make better nutritional choices. My job is to give people the skills, knowledge, and confidence they need to choose the right foods for their body for optimal health and happiness. Holistic eating or holistic nutrition is the simple idea that the use of everyday foods and proper eating habits can improve your overall health. It is an evidence-based approach to nutrition. The food you put into your body affects much more than just your level of hunger. Holistic eating focuses on selecting foods and forming eating habits that enhance your personal level of health and happiness. Many people have food sensitivities that they are not even conscious of. The food they are eating is actually making them sick, overweight, or interfering with their ability to enjoy life. Holistic eating looks at food and nutrition and how it affects your overall health and wellness. Why do I crave certain foods so much? The ugly truth is that some foods are addicting. Literally. One of the most powerfully addictive substances is refined sugar. In many modern diets, refined sugar is in almost everything . You often crave certain foods because you are addicted to them. Part of holistic nutrition is learning to recognize signs of the unhealthy effects of certain foods. Food cravings can actually be an indication that a certain food is not something you should be eating. Can holistic nutrition help me lose weight? Every person is different. From my own experience I know that when I stopped eating a standard American diet and began living the principles of holistic nutrition, I not only lost weight, but I became healthier and happier. Many people have experienced the same thing as I have. Often, we do not realize it isn’t just the quantity of food that we eat that makes us overweight; it is the types of food. Our bodies were not designed to handle the amount of sugars, preservatives, and food additives that most of us eat. Poor food choices can cause a host of health problems, including inflammation, obesity, and chronic disease. What is the difference between holistic nutrition and fad diets? Holistic nutrition is not a fad. It is a system of healthy living. Holistic nutrition only works if you commit to making it a part of your life. It is focused on finding the right balance with the foods you eat. Fad diets may produce dramatic results over the short-term, but these benefits do not last because these types of diets are not sustainable. There is also a lot of evidence that some fad diets are harmful to your long-term health. Holistic nutrition is focused on making you happier and healthier for your entire life, not on helping you lose weight fast. Please consult with your doctor(s) before starting any new mental or physical health improvement program. The advice I offer is not intended to replace that of your medical practitioner. I am not a medical professional, nor am I qualified to diagnose, cure treat, or prevent disease. The advice I provide on this website is intended for a broad and diverse audience, and as such, deals with general lifestyle concepts, not specific healthcare advise. This material disclaims any liability or loss in connection with the advice expressed herein.